Vending machines are an excellent business investment, and American Food & Vending can fill the vending needs of your Lowell business. We have been taking care of our Lowell customers for over thirty years now, and you know as well as we do that companies don’t stay around that long without taking care of their customers and adapting to the changing trends and times. 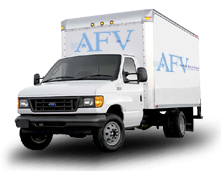 We are a full service vending company, and can install (free of charge), maintain, and keep your vending machines full of all the delicious products you love. Your Lowell business can have vending machines with Pepsi Cola products, vending machines with Coca Cola products, snack vending machines, candy vending machines, coffee vending machines, and vending machines with healthy food and drink choices. 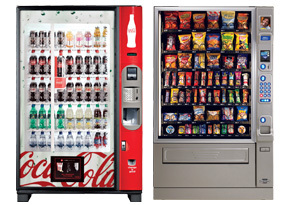 All are vending machines are state of the art, designed for energy conservation, ease of dispensing, and attractiveness. American Food & Vending can also provide your Lowell business with our superior coffee service. We offer Bunn and Newco coffee equipment, as well as fine coffee from Victor. We’ll make sure you don’t run out of coffee, teas, filters, cups, napkins, stir sticks, sweeteners and creamers. Never send somebody out to the “big box” store again. We’ve got you covered! Does your Lowell business have water coolers and 5 gallon water bottles? Time to toss those water bottles out of the office! We can install a water filtration system that will put an end to storing and lifting those heavy full water bottles onto the cooler, once and for all. Great tasting water with an endless supply, by filtering your existing water supply source. Just grab the phone and call us at (800) 543-2222. We’ll come out to your Lowell business and get you started ASAP!